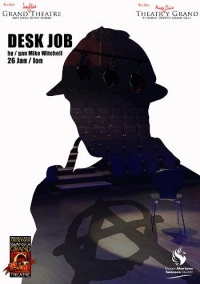 Desk Job is a British play, written by Mike Witchell and directed by Peter Richards, performed by the Fluellen Theatre Company at the Grand Theatre Arts Wing (Swansea, UK) on 26 january 2019 (see other dates), starring James Scannell as Sherlock Holmes and Matthew Bool as Dr. Watson. © Photos : Fluellen Theatre Company. 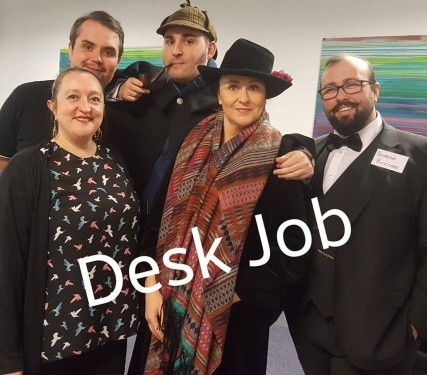 This page was last edited on 6 March 2019, at 23:41.